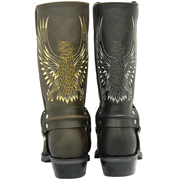 We are pleased to add the beautifully designed Bald Eagle to our range of top class motorcycle boots. 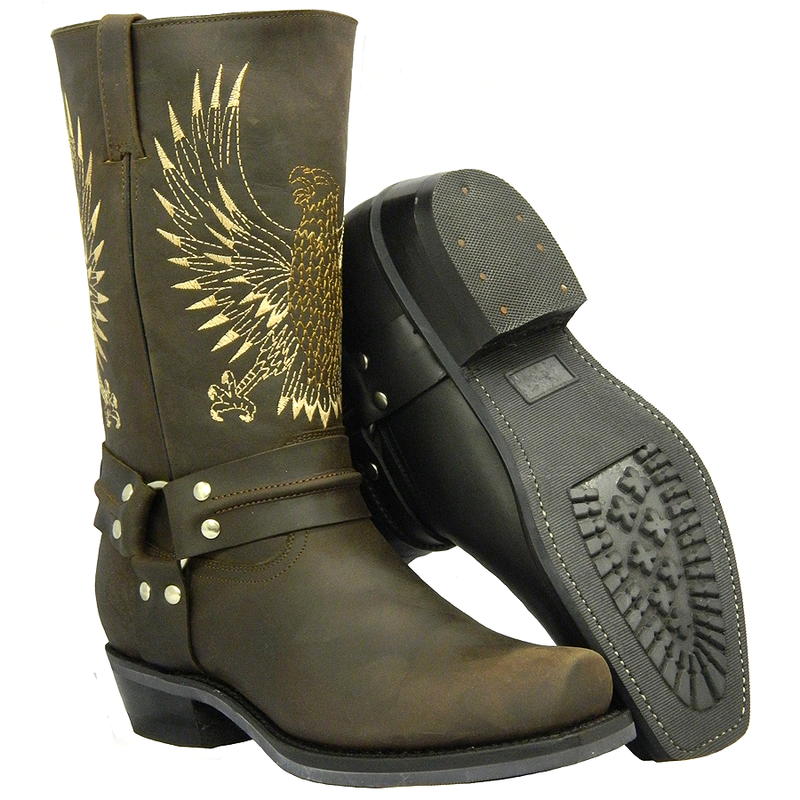 These boots are made in supple, heavy duty, waxy black or dark brown leather. Heavy duty, hard-wearing rubber soles with impressive grip. 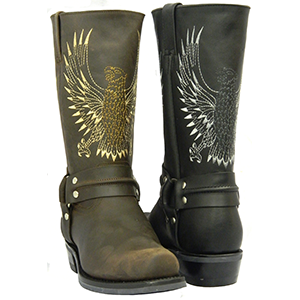 Beautiful stitched eagle design on front and back of boots. 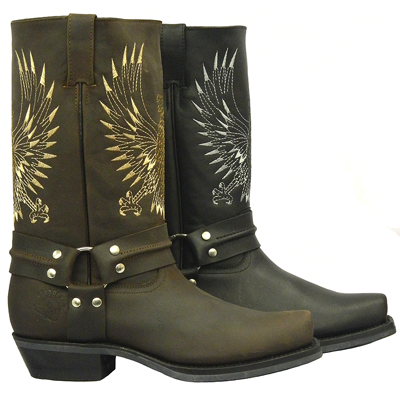 A real stunner at an incredible price.